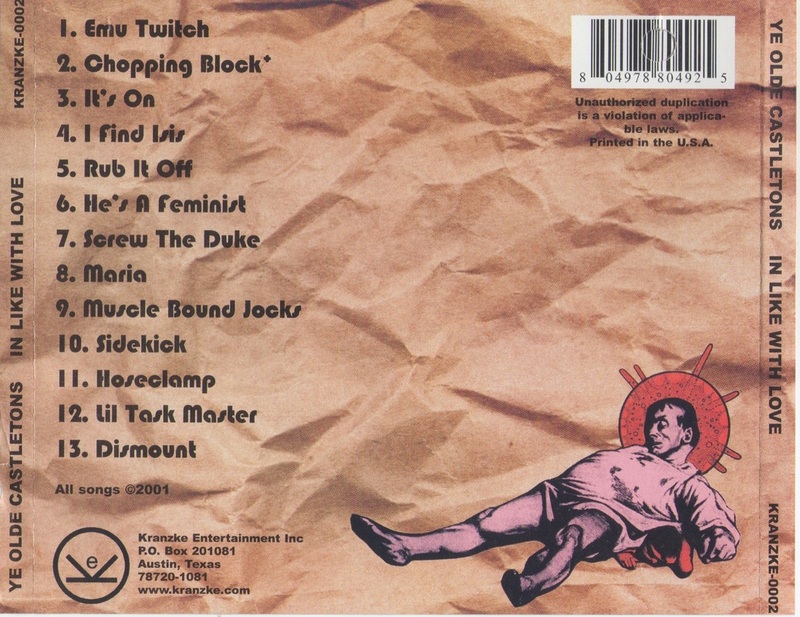 I ran across a cd that said "castletons II" on it, and remembered that it was a copy of rough demo versions of songs we were working on when I screwed things up for this great band by becoming too busy... around 2000. As I recall, we were on a roll and recording a bunch of ideas, some of which went into service in Bill's next effort, THE GOOD TIMES CRISIS BAND. Anyway, there was a bunch of stuff on there... "Classical Gas" was written by Mason Williams. 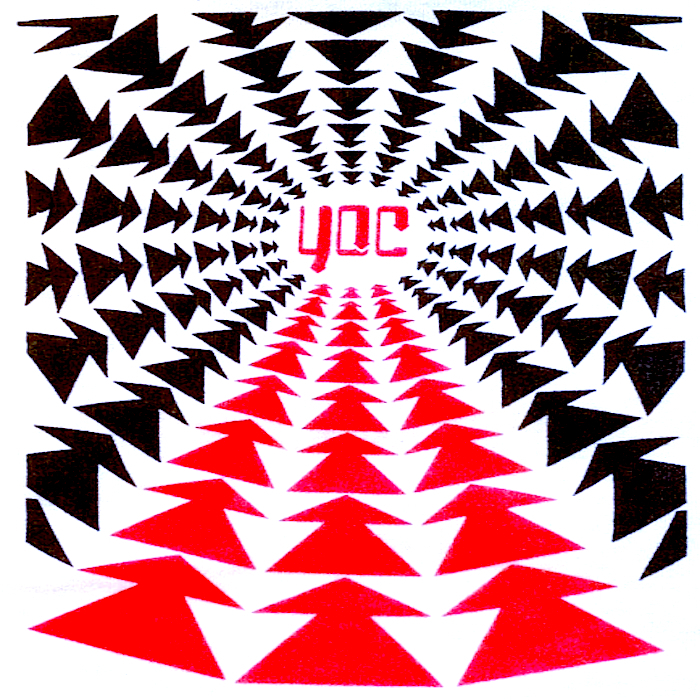 The rest are YOC. I rummaged around to see what else I could come up with, and was happily surprised; 12 KILLER TRACKS...!!! I hereby entitle the collection after one of them: "THE GREAT INTERRUPTION"
While the Castleton's reign of drunken terror lasted but a handful of years, its effects were felt for many-- some say are still, on the down-low, throughout the plundered villages. Shyster-Nozzlin aside, these boys threw down with complete abandon, sonic casulties littering either side of the stage. Sir John of the Floating Ginmill, Duke William of the Flailing Spittle and Squire Brody-Master of Wands sat in satisfaction in their Center For Relationship Studies. Then the unthinkable. Brody was called to duty with a group of shitheads and left to pursue ever larger glory. But... Unbeknownst to the throngs, a second plan had been hatched... drafted...yet not to be... until NOW! ...Perhaps...perhaps, though, its NOT too late to at least show the blueprints-- for what would have been a monumental sequel to their turn of the millennium "IN LIKE WITH LOVE" LP. Prepare ye brainpan! Plus, a cover of CLASSICAL GAS...! yee-haw! 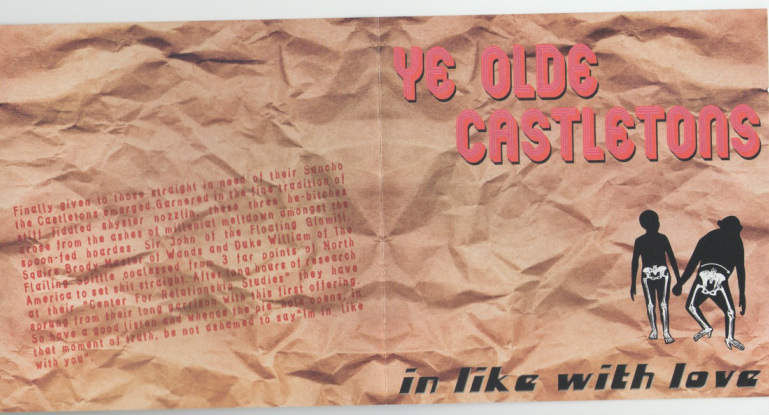 Ye Olde Castletons LP: "In Like With Love" !! Here is our one and only "official" release, originally out on Kranzke records in 2001. I have some more rough recordings of a second planned LP that never quite got finished before I was taken over with my MINISTRY gig and I've also got a bunch of shows recorded. 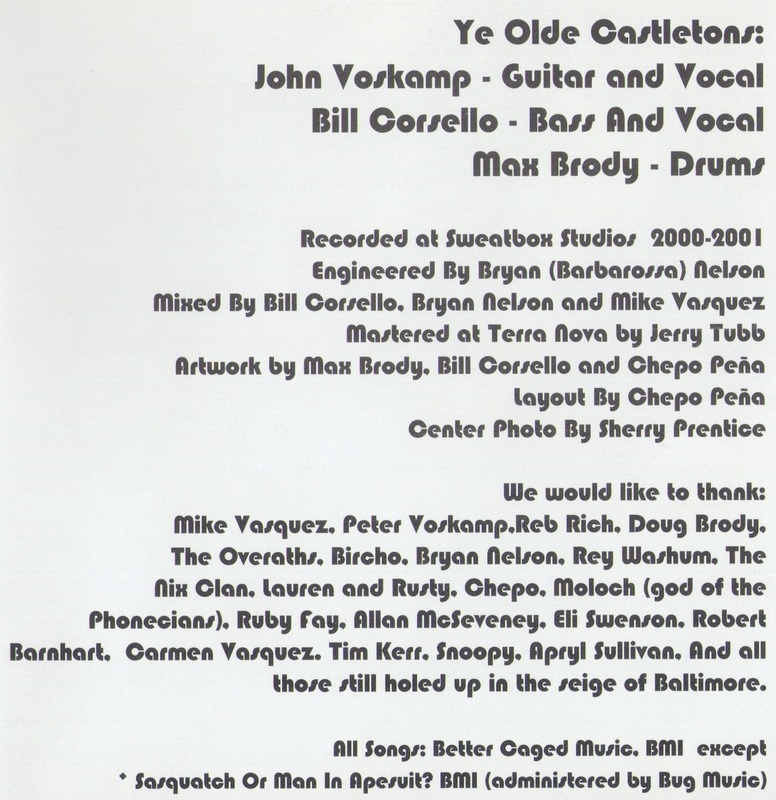 Eventually, I will go through all this stuff and post it up because it was a fun band to be in, John and Bill are great people in general, and Bill was a talented song writer and band leader. ...basically, back then we liked to drink. The three of us were on a drinking binge and it was pretty much ridiculous at our bbq/practices and shows. I think it showed in our music. The music makes you wanna flop around, so go ahead. Bill Corsello and Max Brody met in a band called Vodka Family Winstons around 1997, and continued on as a partnership after it broke up. 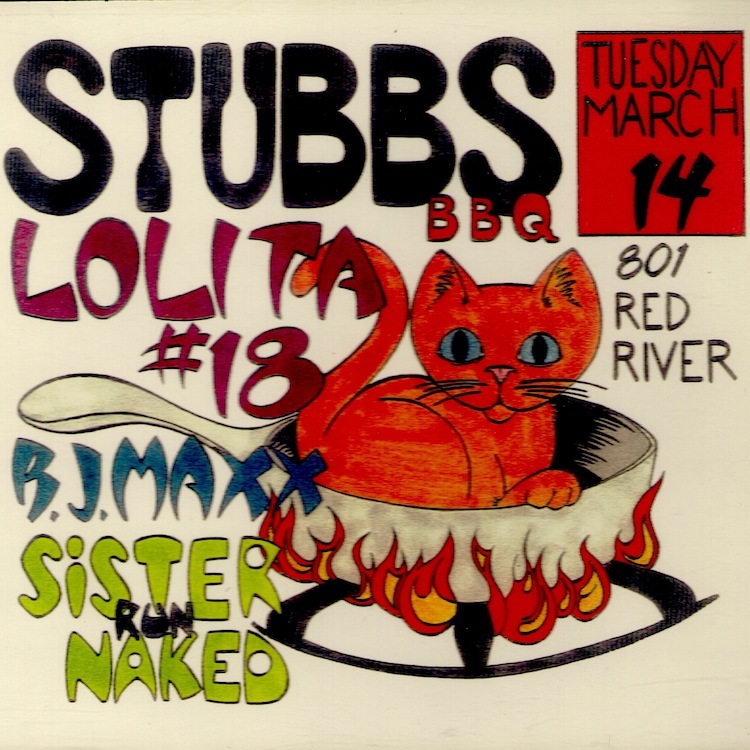 After awhile, they recruited John Voskamp from a band called Peglegasus and started rehearsing, making bbq and drinking a lot of dirty vodka martinis. Since all of them had been in bands in the area and were in other bands they were connected enough to be able to get a gig easily. In fact, they wound up playing a few shows before they had even decided on a band name. 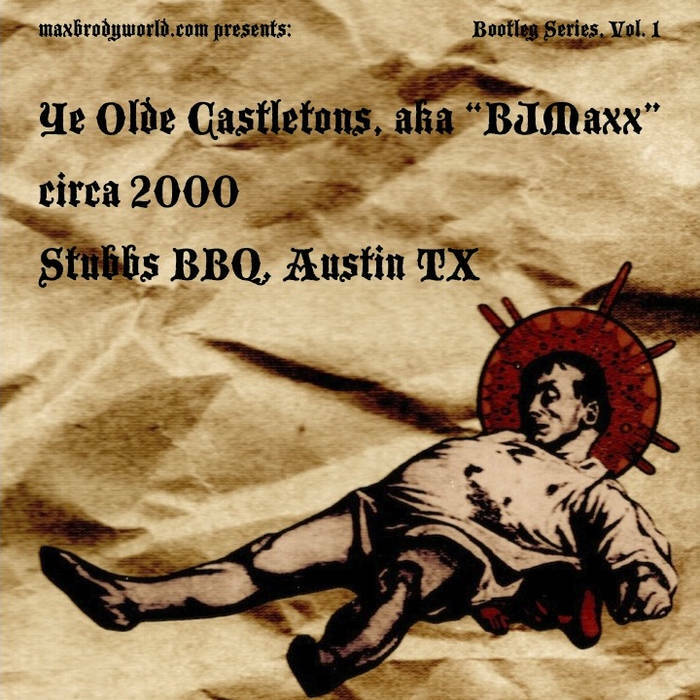 ...Ye Olde Castletons, aka "BJMaxx"